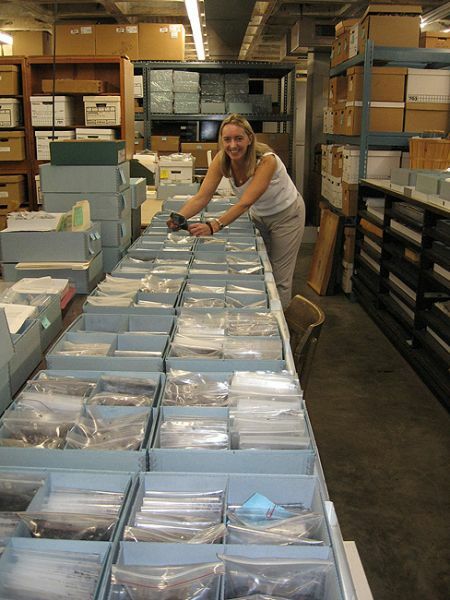 The Pineland collection is the largest systematic collection from a major Calusa town site. Materials excavated from the Pineland Site Complex between 1988 and today comprise more than 140,000 items. The collection is made up of artifacts, environmental specimens, and associated records. Artifacts include Native American pottery sherds; tools and decorative objects made of shell, bone, shark teeth, and stone; Spanish-derived glass, metal, and ceramic objects; and waterlogged wood, seeds, and other organic materials. Oxygen-free waterlogged areas of the Pineland site preserved the only known prehistoric papaya seeds ever found in North America, as well as the only prehistoric chile pepper seeds known for the eastern United States. The seeds are un-charred, and are about 1900 years old. The National Endowment for the Humanities (NEH) awarded a three-year grant (2007-2010) to William Marquardt and Karen Walker to preserve and organize the Pineland collection. 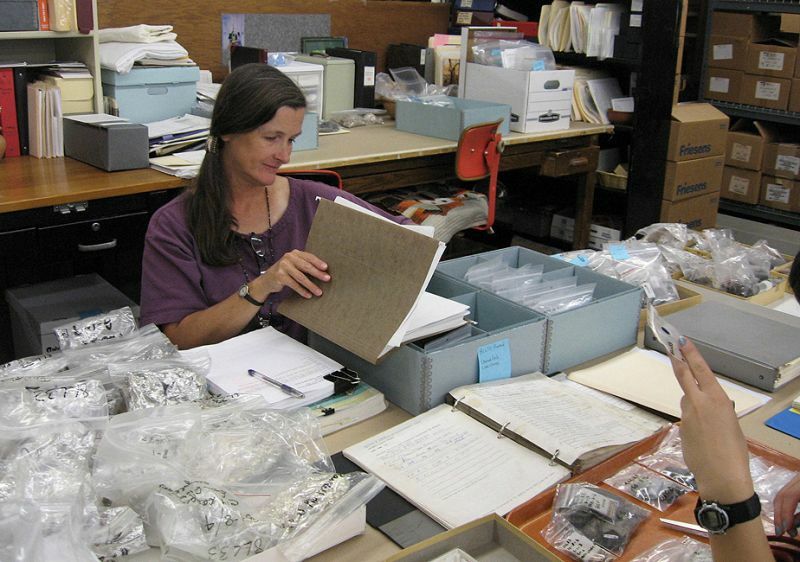 The grant funded curation of materials from five major field seasons at Pineland (1988, 1989, 1990, 1992, and 1995) as well as 18 linear feet of associated records. 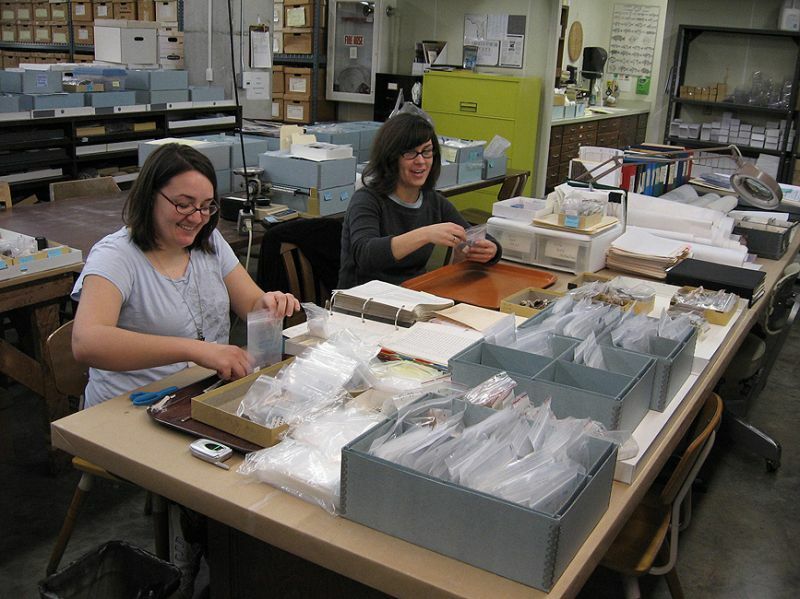 Museum staff rehabilitated the collection by rehousing artifacts, specimens, and samples using an archival bagging and boxing method that maintains physical order by catalog number and provenience. Some artifacts from the Pineland Site Complex are on exhibit in the Hall of South Florida People and Environments. 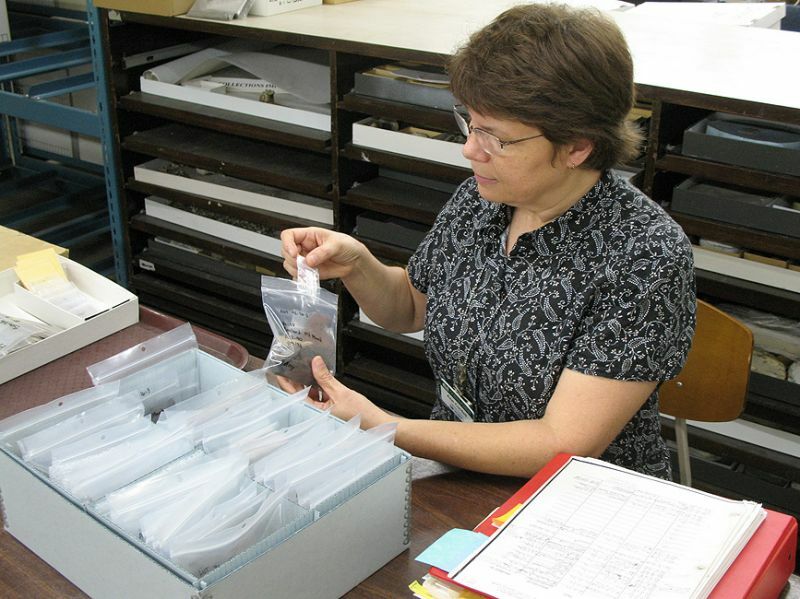 Donna Ruhl works on re-housing Pineland archaeobotanical specimens and samples in the new collections curation system. 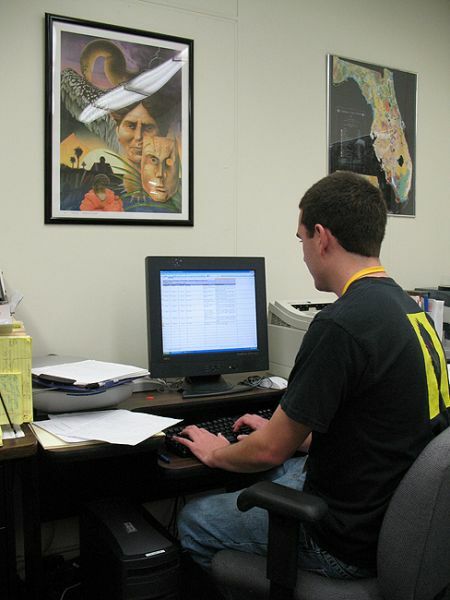 Austin Bell enters data into the South Florida Archaeology database. 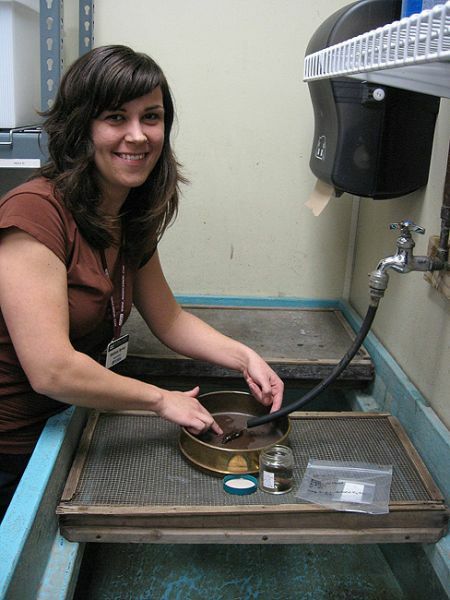 Melissa Ayvaz washes waterlogged wood specimen prior to curation. 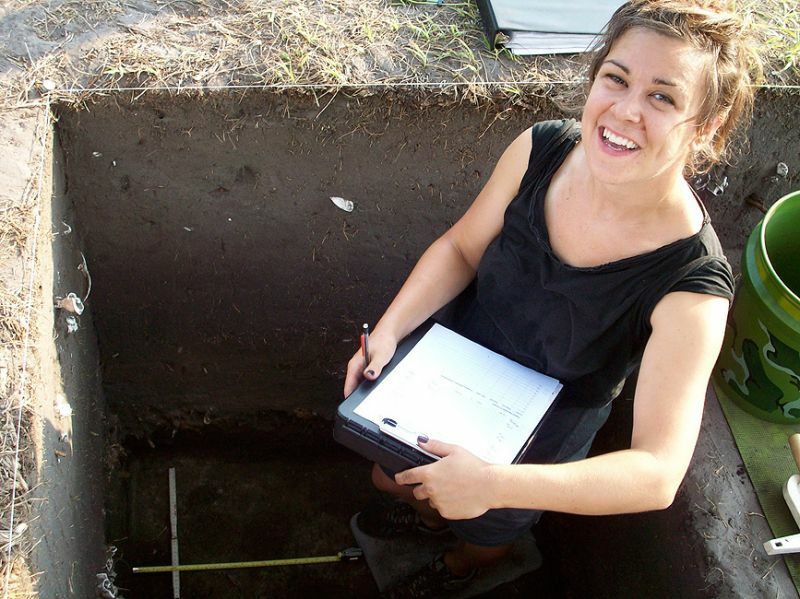 Melissa Ayvaz at work in Operation N, Citrus Ridge, at the Pineland Site Complex, June 2011. 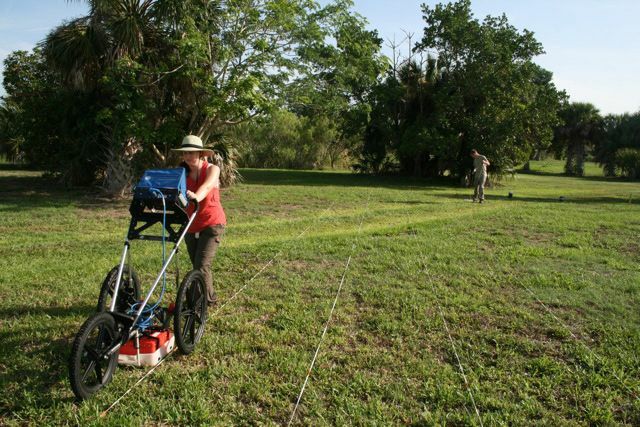 Christina Donisi operates the ground-penetrating radar data recorder at the Pineland site, July, 2011. Ryan VanDyke and Melissa Ayvaz work on rebagging specimens and samples from the Pineland Site Complex. Ann Cordell re-bags analyzed pottery during the NEH-sponsored rehabilitation project. Karen Walker begins the process of curating specimens taken for radiocarbon dating, comparing records with samples. 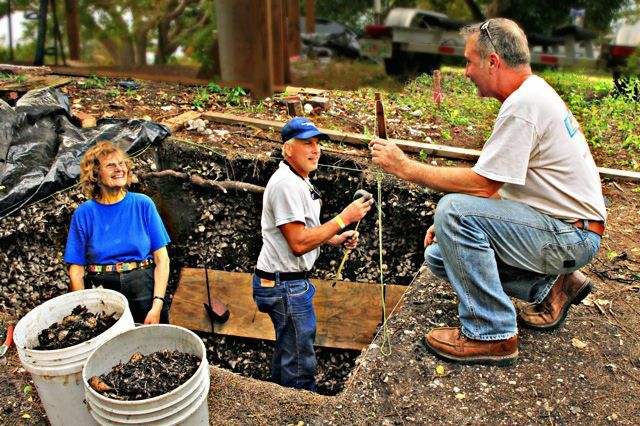 Michael Wylde (right) works with volunteers Pat Townsend and Ed Fialkowski in Operation M, Brown’s Complex Mound 5, Pineland, 2009.